According to Adam Isgreen, Tanya was supposed to have a companion in Red Alert 1. She was called Megan, an ex-IRA demolition expert and stealth unit, thus being of opposite nature than Tanya’s. 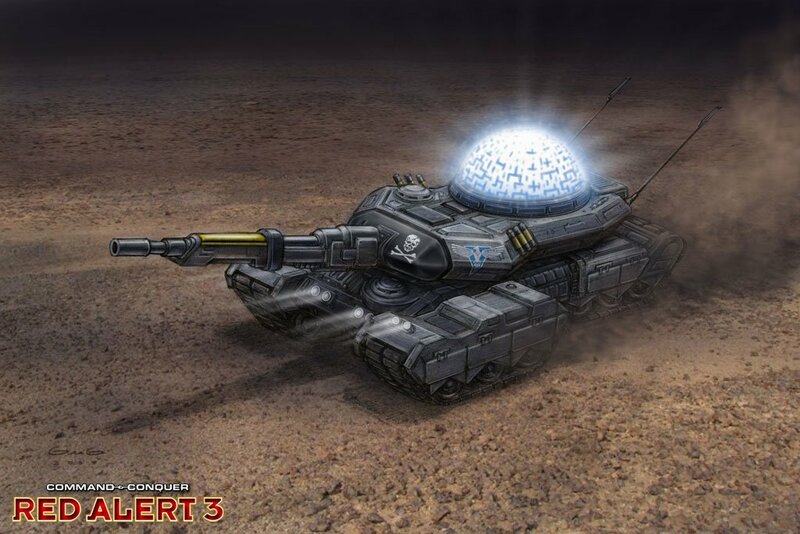 The Bull was a cut vehicle from Tiberium Wars which sports a similar appearance to the Predator Tank and uses the Mammoth Tank’s treads. 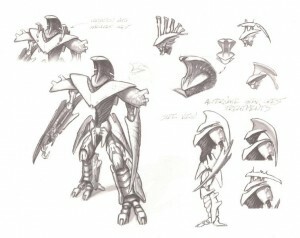 It appeared in The First Decade poster, but did not pass the concept stage. 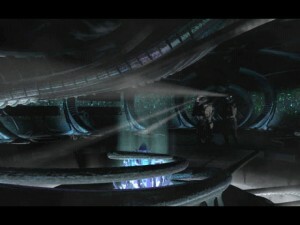 It was to be revived in Tiberium, but it was cut along with the game. The Tiberium version was lightweight enough to be air-dropped by Ironside Transports. 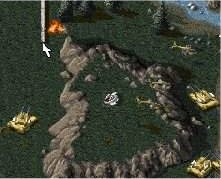 Command & Conquer is known to have a strange tile with a crashed aircraft. 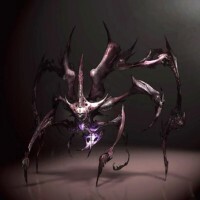 There has been many theories and fan speculation on what this was, with the most popular theory being the one that says it is the earliest Scrin appearance in Command & Conquer lore. Although the question of that crash tile is still not answered, we do know that aliens were supposed to appear in Command & Conquer, at least according to concept art. 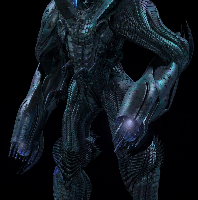 This quasi-infantry unit is logged as an Alien Probe, capable of firing narrow plasma beams, possibly filling the anti-infantry role. The Tiberian Sun beta builds had frequent appearances of units that were un-buildable in the final game. 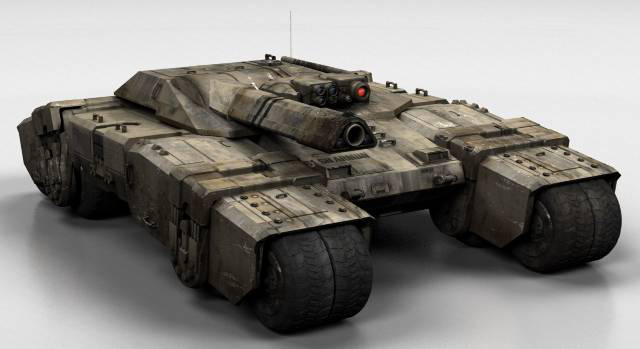 These included the returning Heavy Tanks and Mammoth Tanks, of which the latter found use in certain campaign missions as a Forgotten unit. All the mentioned units (except for the Mammoth tank) are without proper coding in TIBSUN.ini, but many of them have the necessary HVA files, as well as hull and turret voxels. 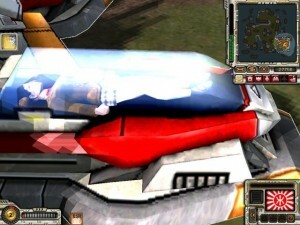 More Tiberian Sun alpha and beta shots are available here. Similar to the previous entry, this is a list of all residual Tiberian Sun and beta TS and RA2 units found in Red Alert 2’s RA2.mix file. 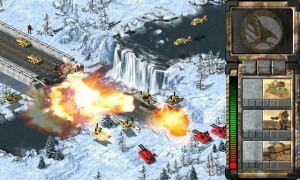 Between 2003 and 2010, two Generals universe mini-games were available on Pogo. The first one was C&C: Attack Copter, in which one, obviously, played as the US Comanche in a retro gameplay style. 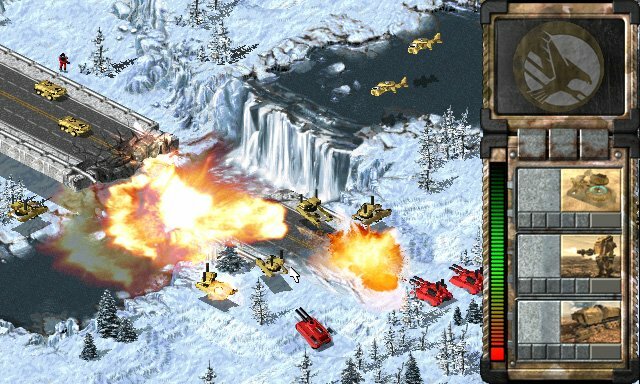 The second one was C&C: Armoured Attack, in which one took the role of the US Paladin tank (note the pro-US bias), this time with more tactical elements like special powers that included paradrop and air strikes. Unfortunately for those who would like to test them, Pogo discontinued them on 30 November 2010. However, the other concept image puzzles me – the flash from the cannon is rather large for a standard cannon. 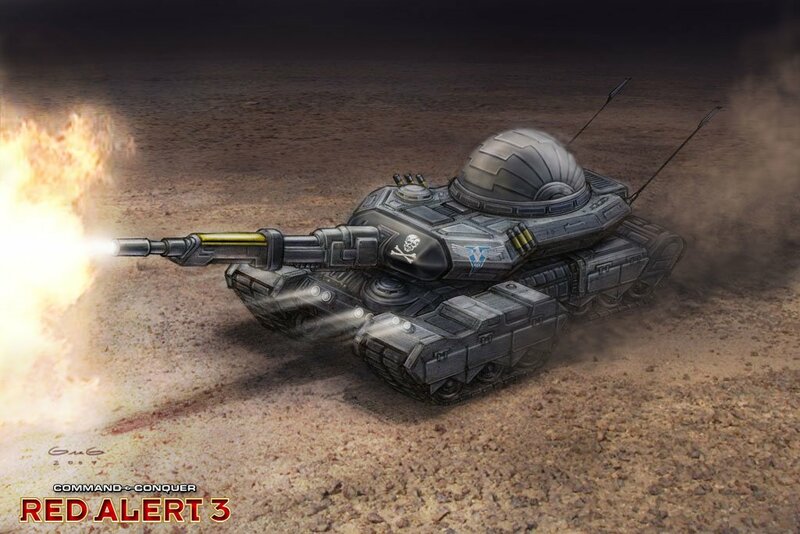 If there was a gas tank behind the turret, I’d say this was a flame weapon. 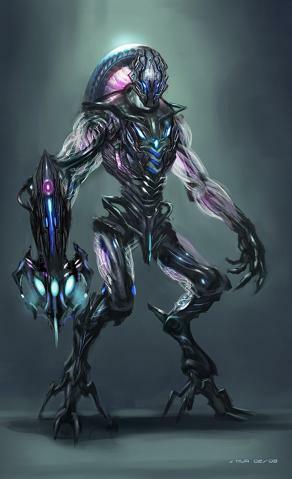 The Scrin were imagined by Westwood as a tall and slender humanoid species when Tiberian Incursion was still under development. Although their appearance was rather unusual (but not uncommon in Sci-Fi), they showed no resemblance to insects (if we ignore the C&C/TS alien probe). 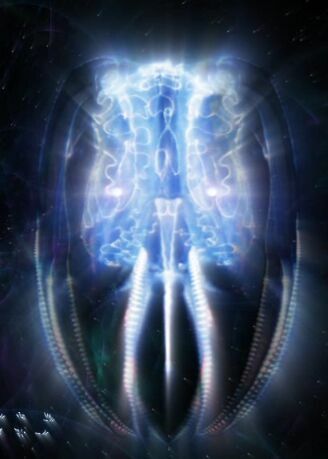 Signs of humanoid Scrin were seen in Tiberian Sun as well, as the Scrin Ship interior was constructed with such species in mind, despite being constructed by Nod with the information from the Tacitus. 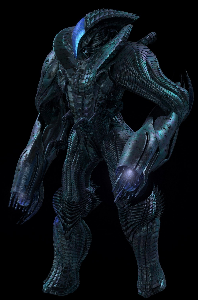 Fast-forward to 2006: the Scrin were designed by EALA as a swarm of different insect and machine types, showing certain traces of culture in their characteristic glyphs, but maintaining an insect-like hierarchy. Lower life forms showed no signs of sentient behaviour, even though they acted in cohesion. The exception to this rule were the mysterious Supervisor and the Overlord. The former has shown only his head and the latter was only mentioned several times and spoke the last sentence in Tiberium Wars himself, but did not appear visually. 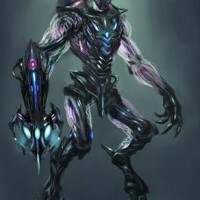 They were the only Scrin beings known to think and act individually. 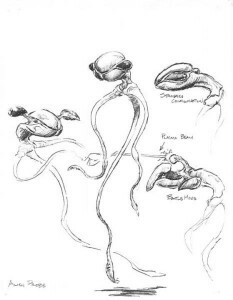 Little is known, however, that EALA had plans of returning the humanoid Scrin and placing them alongside the insectoid ones in the cancelled Tiberium. To the left is the Intruder, a light-to-standard infantry unit, while on the right is the Archon, a heavy infantry unit. The left is the bizarre-looking Drudge, and the right is the Shrike, the basic Scrin infantry unit of the game that had a kamikaze attack. Playing with full graphical details can show some barely visible Easter eggs. 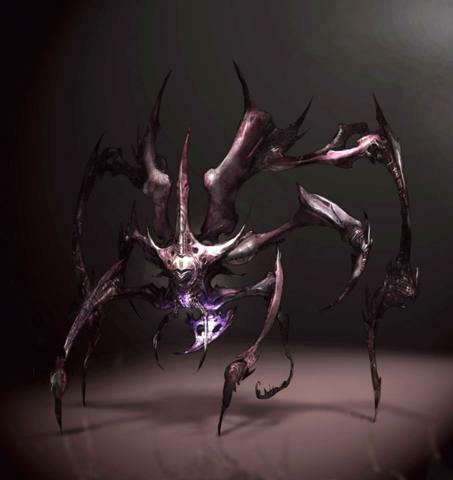 Did you know that the Psionic Decimator had clones of Yuriko Omega in chambers on its edges, from which the device gained all its power and abilities? 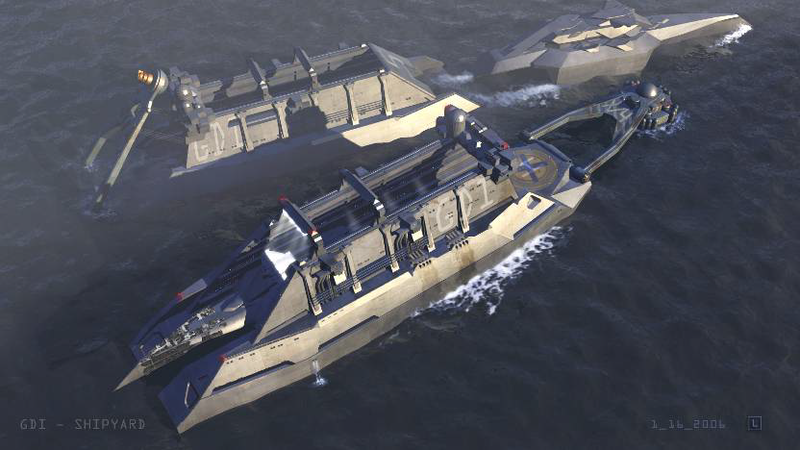 Naval vessels were seen on several occasions in Tiberium Wars and Kane’s Wrath. However, this piece of concept art confirms that all those ships were originally intended to be build-able through Shipyards, which were cut during development.